The Savory Plate is located on Mass. Ave in Arlington Heights and serves a selection of banh mi’s, wood fire grilled sandwiches and panini’s for lunch we have yet to try. For dinners there is chicken, salmon, beef entrees with all American sides of peas, carrots and potatoes. 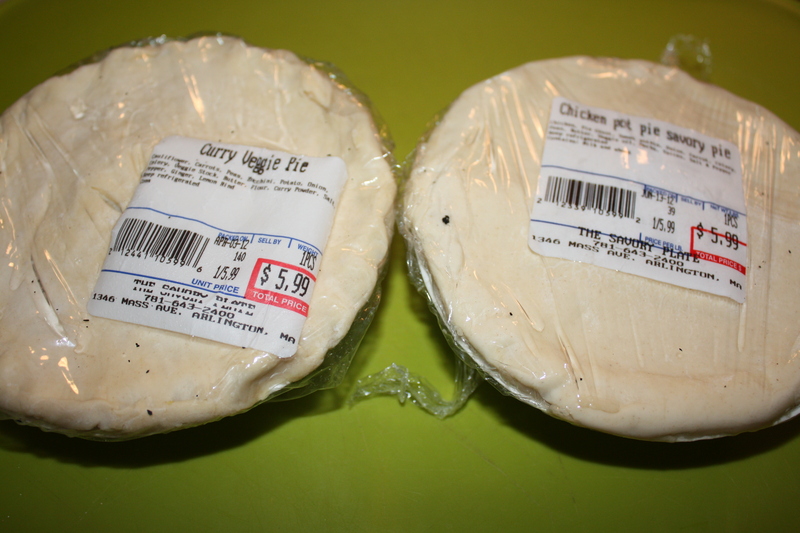 The Savory Plate also offers premade foods including American comfort foods like chop suey, quiches and Savory Australian Pies for $5.99 each. They offer fillings including Barbecued pork, Beef, onion & mushroom, Hungarian beef & pepper, Chicken & vegetable, Sausage, pepper & onion and Curried vegetable (vegetarian). 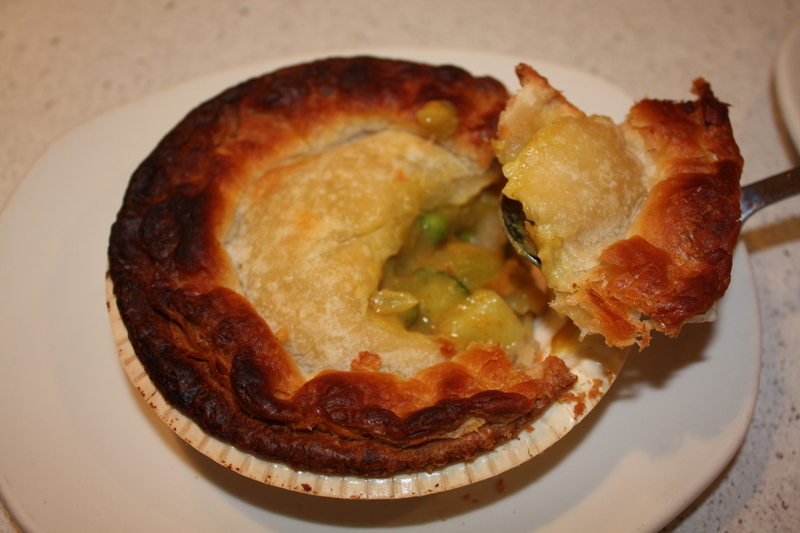 We defrosted a frozen pie and then popped in a 400 degree oven for 25 minutes up the Chicken and vegetable as well as a curried vegetable. 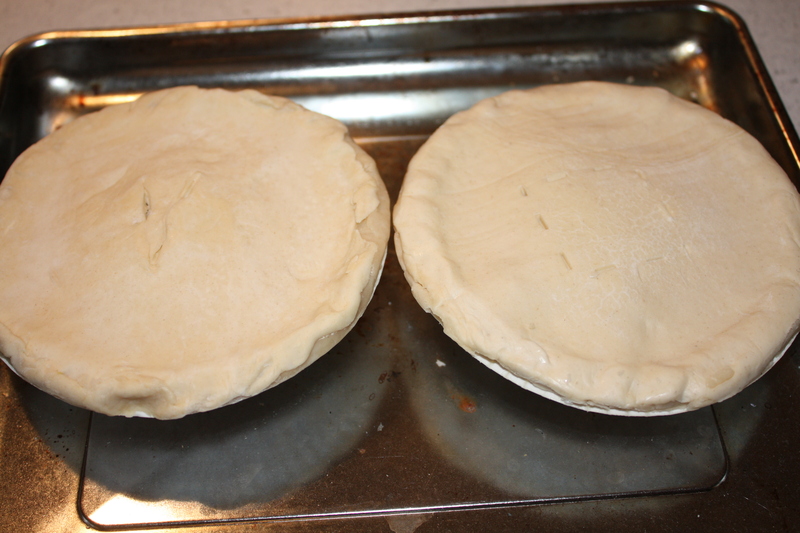 The pies were seriously some of the best pot pies we have eaten. Forget Swanson’s. 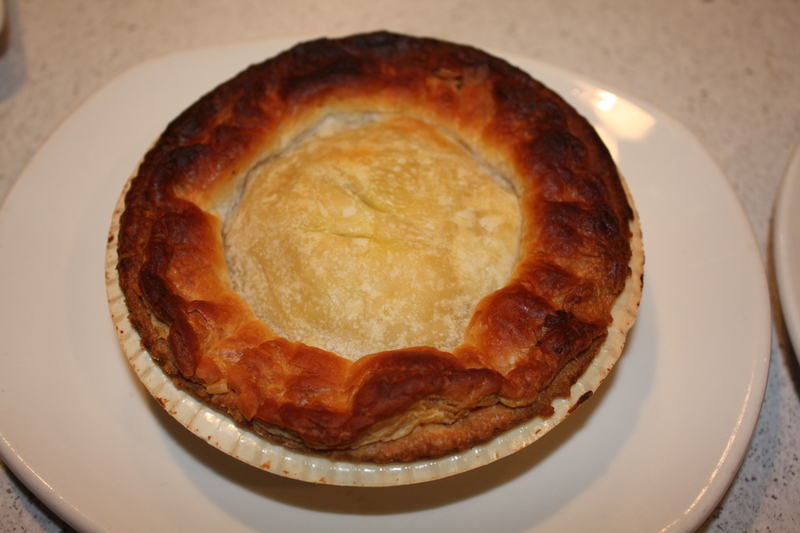 We really loved the buttery pastry crust and the warming fillings. The chicken and vegetable was really soothing, flavorful and had pops of vegetables and pearl onions. The curry vegetable really was satisfying, had a nice curry flavor and hue of yellow. 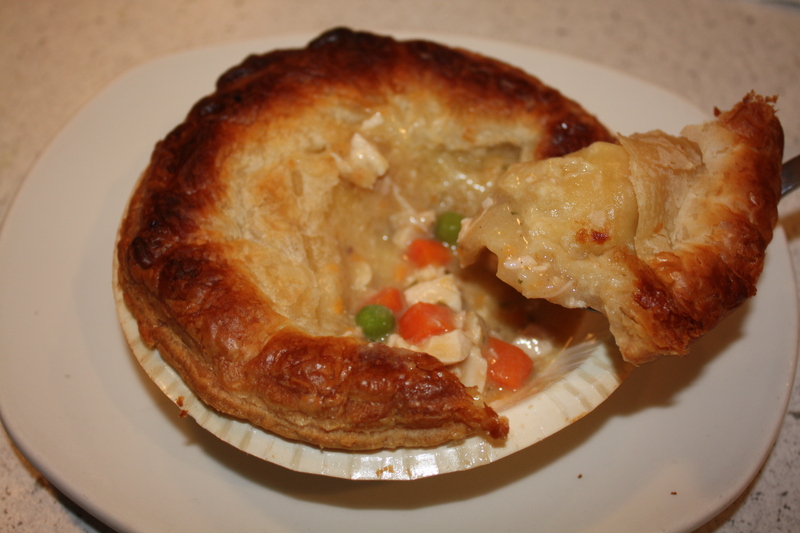 The pot pies were unbelievable and we would definitely have to get the other fillings and the chicken and curry ones again. ← Guest Post: Hungry Games: Making Banana Pancakes!